We’d love to get your feedback. Take a look at what other customers had to say about their SHOEPASSION.com purchase. We've invited experts in the field to share their opinions on SHOEPASSION.com products. What do they think? Join us on an exciting video tour of our men’s shoe collection. 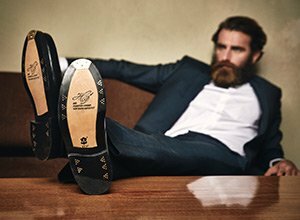 Get a closer look at our exquisite Goodyear-welted shoes. High-quality products deserve the finest presentation. Whether classic Oxford, fashionable Derby from ray fish-skin leather or an understated Chelsea boot – allow us to invite you to an exciting audio-visual tour through our collection of men’s dress shoes. Take a close-up look at our exquisite Goodyear-welted shoes. How are Goodyear-welted shoes from SHOEPASSION.com crafted? Look behind the scenes. Some 65 separate parts, 210 skilled operations – all in one video. Men’s dress shoes as you have never seen them before. Our collection of contemporary shoe styles surprises with extraordinary design. These are the classic men’s dress shoes every gentlemen should own, radiating timeless elegance. We work hard for your recommendation. Please follow us on Facebook or Twitter and share your experience of SHOEPASSION.com. Also, stay up to date on news from the world of Goodyear-welted shoes.